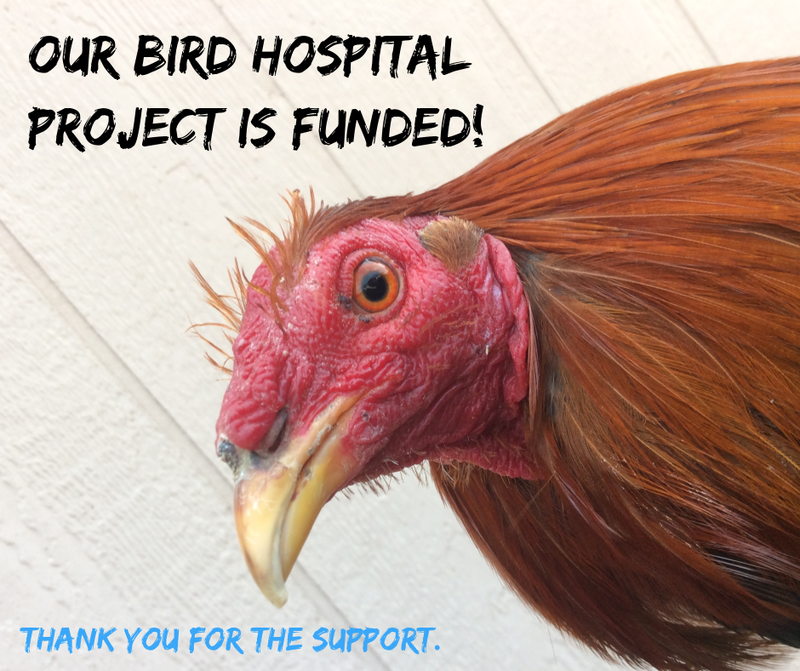 Thank you for funding our bird hospital. Thank you so much, flock friends. With your help, we reached our funding goal. We will be sharing more soon on the construction project completion. Thank you again!